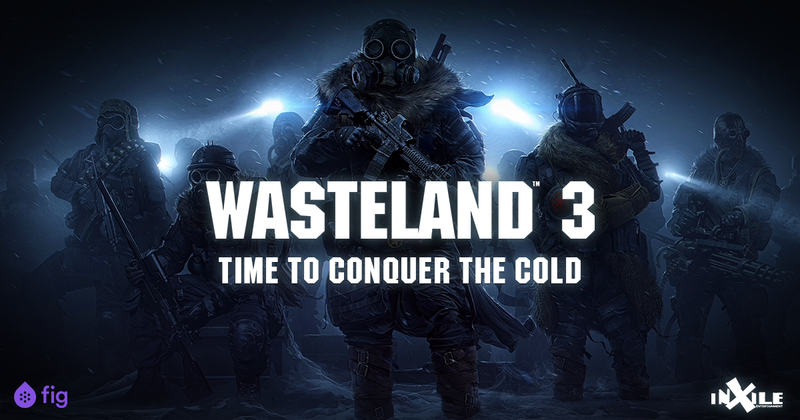 We're thrilled to announce Wasteland 3! This new game will be set in the frozen wastes of Colorado, and will include revamped combat featuring vehicles, let you lead a Ranger Base, and will have a story with deep choice & consequence that you can enjoy either single-player or multiplayer! The game is launching on on Fig on October 5th, 2016! Wow, that was sudden. This seems like a good time to finally finish playing Wasteland 2. Certainly looks intriguing. I'll be keeping an eyeball on it. I don't know why you would go with Fig, when Psychonauts still can't receive investor funding due to SEC blocking it. Please DO NOT USE FIG! I have FULL faith in inXile but FIG is SHADY!!! Please please for the love of this series use ANYTHING else! Follow me on twitch.tv and see me get owned or once in awhile have a good run! I made a forum account just to say that I will not be backing Wasteland 3 on Fig and I think it is a mistake to do so. Please consider another crowdfunding option. I've backed every game you've crowdfunded and would prefer not to miss the next one. IHaveHugeNick wrote: I don't know why you would go with Fig, when Psychonauts still can't receive investor funding due to SEC blocking it. Apparently the SEC officially gave Psychonauts approval earlier this week. Oh, okay. That makes sense then. How will pledging/payments work on Fig? I couldn't find any information regarding credit cards or Paypal. It might take some time for me to move the money to the right place. Or will that not be necessary until the campaign succeeds? Gillsing wrote: How will pledging/payments work on Fig? I couldn't find any information regarding credit cards or Paypal. It might take some time for me to move the money to the right place. Or will that not be necessary until the campaign succeeds? Poking at the current campaign, it looks like they use Stripe, just like Kickstarter does. I really hope they have a paypal Option as they had in Wasteland 2 and Torment. Drool wrote: Poking at the current campaign, it looks like they use Stripe, just like Kickstarter does. Yeah, Fig uses Stripe, which I believe allows for both a credit card as well as online-enabled debit cards for those who don't have a separate credit card (but don't quote me). Kickstarter moved from Amazon Payments to Stripe before we did Bard's Tale IV, so if you've backed anything relatively recently you have probably used Stripe already. I don't get the issues so many have with Fig. Having the option to get investors money is great. What is the problem? Why does it have to be backer money? How does it reflect badly on a game if mist funding is acquired by investors? Oh, seriously? That is the only reason why everyone is so upset, reality? There is no factual reason? Knightshark wrote: Oh, seriously? That is the only reason why everyone is so upset, reality? There is no factual reason? The main arguments against Fig generally revolve around the risks involved with the investment, especially given some of the issues that Fig was having with the SEC earlier this year. However, many of those early issues appear to have since been addressed, with the SEC giving Fig approval as of this month. But that doesn't stop some people from speculating on terrible ways that Fig could crash and burn in the future, even though nothing like that has actually happened thus far. Of course, that doesn't entirely eliminate the risk. Like any other investment, there's always the chance that it could go bad, and in an absolutely worst-case scenario any money invested could end up being lost. It's also worth noting that there are, of course, a lot of safer or more profitable things that someone could invest their money into. But really, if someone's investing in a project like Wasteland 3 they're probably not doing it because they're expecting to become rich. Rather, they're investing in the project for the novelty of being "part of the process", or because they genuinely want to see the project get off the ground. There are a few fairly informative videos and articles floating around, but a lot of them seem to be rather outdated since they were written before the recent big changes in how Fig operates. A lot of those articles also tend to be heavily biased due to Tim Schafer and the Psychonauts 2 campaign that was run through Fig. A small but very vocal number of folks really hate Tim Schafer, for a variety of reasons. Fortunately, Tim has nothing to do with the Wasteland 3 campaign.